The database gives you access to the most comprehensive collection of common law cases from 1163, and an extensive collection of legislation from 1235. Using the intelligent legal research platform, you can search for cases from across over 25 jurisdictions, all in one location. The collection contains exclusive cases from the United Kingdom, Ireland, Caribbean and New Zealand, including the Bermuda law Reports and the Cayman Island Law Reports. Using it will ensure that you have access to the most up-to-date and historically significant cases. It is updated daily, with over 1,000 new cases added each month. Australia, Anguilla, Antigua & Barbuda, Bahamas, Barbados, Belize, Bermuda, British Virgin Islands, Canada, Cayman Islands, Dominica, EU, England & Wales, Grenada, Guyana, Ireland, International, Jamaica, Jersey, Montserrat, New Zealand, Northern Ireland, Scotland, Singapore, St. Christopher & Nevis, St. Lucia, St. Vincent & the Grenadines, Trinidad & Tobago, Turks & Caicos, and United Kingdom. 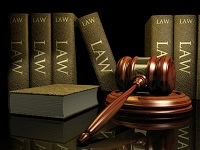 Over 57,000 Australian cases, dating back to 1986, including cases from the High Court of Australia, and appellate courts from the Capital Territory, New South Wales, Northern Territory, Tasmania and Victoria. Canadian case law, dating back to 1876, including the Supreme Court, the Federal Court of Appeal, and appellate courts from Alberta, British Columbia, Ontario and Saskatchewan. The largest collection of Caribbean case law covers 18 jurisdictions dating back to 1950, including CariLaw. The Bermuda Law Reports are the official law reports for Bermuda, comprised of considered judgments from the Supreme Court, and appellate courts of Bermuda. They date back to 1956, with comprehensive coverage from 1986. This series offer a wealth of new material and are a vital repository for practitioners and librarians in the Caribbean and other offshore territories. The Cayman Island Law Reports are the official law reports for the Cayman Islands, including the Grand Court of the Cayman Islands and appellate courts, dating back to 1923, with comprehensive coverage from 1952. This series offer a wealth of new material and are a vital repository for practitioners and librarians in the Caribbean and other offshore territories. EU content contains case law, including cases from the Court of Justice from 1952 onwards, General Court / Court of First Instance from 1989 onwards and the Civil Service Tribunal from 1998 onwards. EU Legislation includes Treaties from 1952 onwards, Regulations from 1952 onwards, Directives from 1952 onwards, and EC Proposed Legislation from 1952 onwards. EU also provides access to the Official Journal of the EU C Series (Information and Notices) from 1990 onwards, and L Series (Legislation) from 1990 onwards. Additionally this collection includes Parliamentary Questions from 1951 onwards and EFTA Documents. Irish Core collection contains over 84,000 unique full text cases and legislative provisions dating back to 1808, including Irish Case Law (JICL), Judgments in the Law Library (JILL), Statutes and Statutory Instruments. We also provide the Irish Reports and Digests, and offer you the option to search and link directly to an additional 70,000 Irish Acts. Irish Reports and Digests: The most authoritative series of Irish case law from 1838-present, the Irish Reports is published by the Incorporated Council of Law Reporting for Ireland, alongside the Irish Digests series - a comprehensive record of cases published in The Irish Reports, The Northern Ireland Reports, The Irish Law Times Reports, The Irish Law Reports Monthly and more. International Law Reports: The only publication which is entirely devoted to the regular and systematic reporting in English of decisions of international courts and arbitrators, and judgments of national courts. The collection contains over 10,000 cases from a vast variety of courts and countries. From the Administrative Court of Austria to the Supreme Court of Zimbabwe, this collection is a valuable resource for any practitioner. Aspinall's Maritime Cases: The Aspinall's Maritime collection contains over 3,000 international maritime cases between 1844 and 1940, from the United Kingdom, United States and Ireland. Jersey Law Reports: An authoritative and definitive series of general law reports from Jersey, containing judgments from Jersey's Royal Court and appellate courts. This series is coupled with a collection of unreported cases from Jersey, and contains over 2,500 cases dating back to 1969. New Zealand Core contains thousands of cases from the Supreme Court, Court of Appeal, District Court, Privy Council, Legal Complaints Review Officer, Taxation Review Authority, Employment Court, Environment Court, Family Court, High Court and more. The Singapore Academy Collection contains the Singapore Law Reports - a fortnightly report of all significant cases heard in the Singapore Court of Appeal, High Court, and Constitutional Tribunal, selected by the Council of Law Reporting - alongside the Singapore Academy of Law Annual Review (2000 onwards), and the Singapore Academy of law Academy Journal (1989 onwards). The database includes a reissue from 1965 to 2009, with new headnotes and catchwords. This collection contains over 6,800 cases dating back to 1965. United Kingdom content contains over 930,000 unique full text cases and legislative provisions, which dates back further than any other provider. This includes the largest collection of superior court judgments available online, with cases dating back to 1163, and the full legislative history of the UK from 1235.